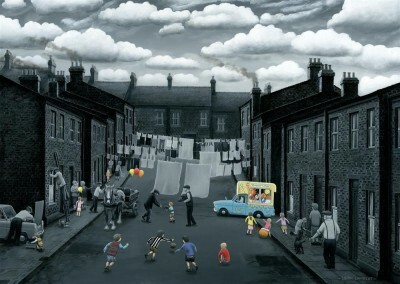 Spring Into Action, limited edition signed Leigh Lambert print. From the popular contemporary artist Leigh Lambert, Spring Into Action is a signed limited edition Giclee print available on Paper or Canvas. In a low edition size, this nostalgic Leigh Lambert painting is a fabulous addition to any art collection. Both editions come signed & numbered with Certificates of Authenticity and framed.